I do a lot of bike-riding. I ride with the kids, ride for exercise and even occasionally ride in races, so I’ve got a pretty high opinion of my rlding ability. So I’m still haunted by the time two caravanners staying at our local caravan park rode leisurely past me up a steep hill on their folding bikes as I huffed and puffed on the carbon fibre racing bike I’ve never admitted to my wife exactly how much it cost. They were both riding the TEBCO Journey (I caught up with them on the next downhill) and laughed when I commented on how well they did up that last hill. 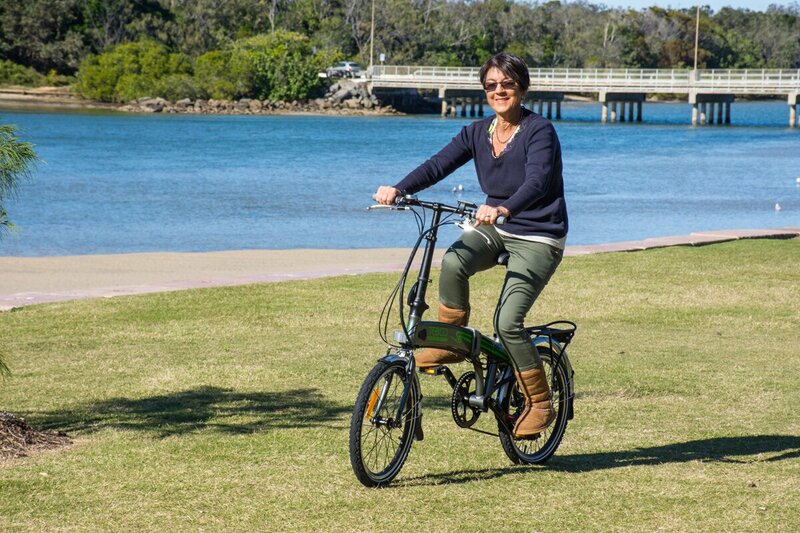 TEBCO (The Electric Bicycle Co.) is the first company to start building and importing electric bikes into Australia, back in 1996. And not just run­of-the-mill rip-offs, the company designs, tests and builds its own bike frames and then fits them with top quality components from the likes of Shimano and Samsung. 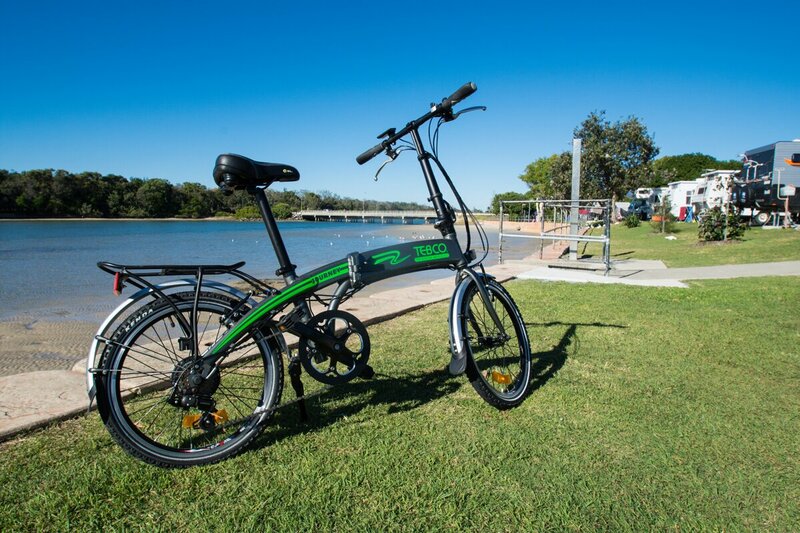 The Journey is the company’s only folding bike and to give it the best test, I booked into the stunning Pottsville South Holiday Park and asked some fellow nomads to have a ride. The version we tested is fitted with a 250W brushless motor with pedal activation (another version with a 200W motor has a throttle). It takes some getting used to, as the motor kicks in only when you pedal so on the first stroke you get a little kick of power which made all of us yelp with pleasure. It’ll go up to 40km on a single charge, at speeds up to 26km/h. It weighs 17kg. 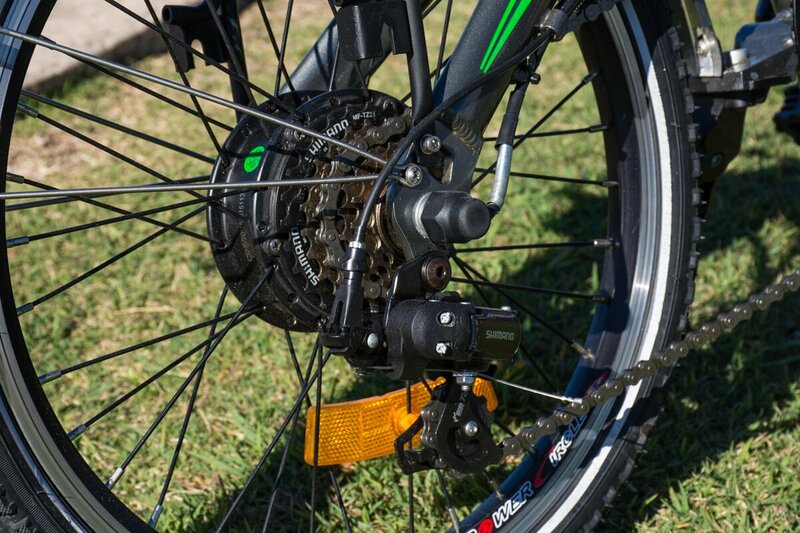 After that initial kick, the bike pedals smoothly and you can generate power with a leisurely half-turn of the pedal. It’s most useful up hills, where you can change through the seven gears, add the power of the motor while you pedal easily, laughing at the lycra clad cyclists you pass on the way. It does take some getting used to. A mistimed pedal-stroke around a corner can get interesting. Packing down the bike is easy. It folds in the middle of the frame and at the base of the handlebars. 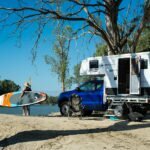 It’s small enough to fit in the hatch of a small car, or under the bed of a caravan or motorhome. It’s actually the perfect vehicle to head up to the shops for small grocery runs, or morning coffees. 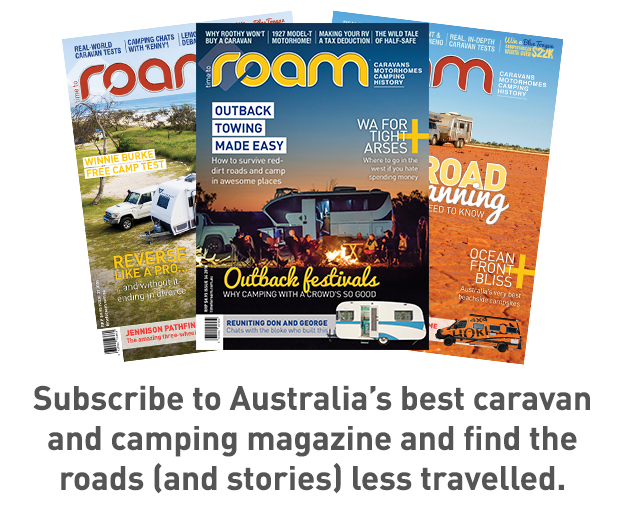 without sacrificing its ability for longer rides to explore the local area (like the Riesling Trail on page 18). All in all, it’s a fun, top-quality commuter that put a smile on all our faces. For a limited time only, Time to Roam readers can enjoy 20% off the Journey Lite, plus receive an accessories pack worth $200! The Accessories Pack includes, a stowage bag with carry handle, which is for easy storage of your bike, a backpack to carry all your needs while en route, a helmet for safety, a USB light set and combo lock to secure your bike. Simply follow the link below and quote the code T2R10 on checkout. Offer ends November 30.